Three of our special little Manchester Taxi Tours branded black cabs are up for grabs to three of our lucky followers. After a Manchester Taxi Tour, all of our customers take home their own mini black cab. However, we know that there are some people around the world who might also want a bit of Manchester in their lives, but have never had the chance to visit. So, we thought… Why not bring Manchester to them?! In the form of a mini Manchester Taxi Tours black cab. 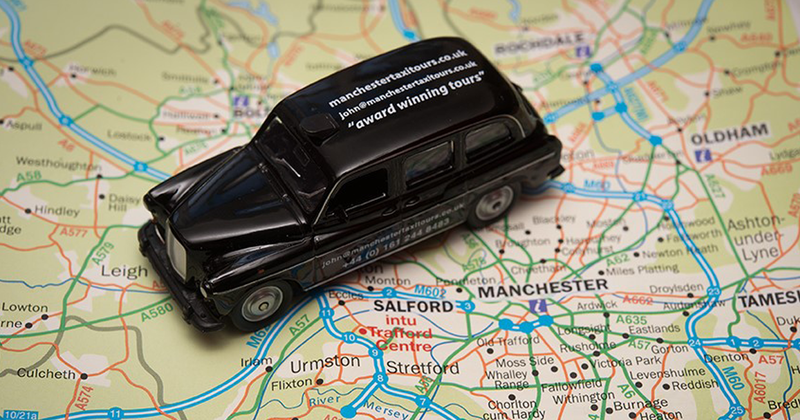 Home > Reviews & News > WIN a mini Manchester Taxi Tours black cab!